William (Bill) M. Cavette joined Appraisers and Planners in 2000, bringing decades of experience in commercial real estate appraisal and valuation in major U.S. markets to his position. Bill’s expertise extends to working with Wall Street conduits and other financial institutions, city development and other public sector agencies, pension funds, law firms and life insurance companies. During his career, he has valued properties well in excess of $5 billion. Prior to joining Appraisers & Planners, Bill was located on the West Coast where he worked for a major regional bank as well as local and national appraisal firms. Since relocating to New York, he has been involved in the valuation of some of the largest family and property portfolios in New York City and nationwide. Bill holds a Bachelor of Science degree from the University of Southern California (USC) with an emphasis on Real Property Development. He consistently adds to his knowledge of appraisal and valuation by attending continuing education courses and seminars given by the Appraisal Institute, which sets the worldwide standard for appraisal professionalism and ethics, methodologies and practices. 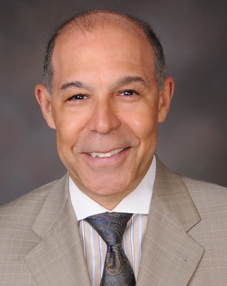 Bill is a certified General Real Estate Appraiser in the State of New York, an associate member of the Appraisal Institute, and a member of African American Real Estate Professionals of New York (AAREPNY). An avid traveler, Bill has traveled extensively in Europe, South America and the Caribbean. He is a sportsman who enjoys sailboat racing, cycling, fitness training and racquetball.